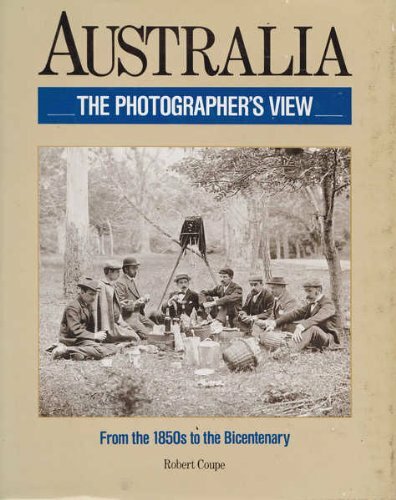 This book "traces almost a century and a half of Australian history as seen and recorded by photographers of all classes and calibres. It begins in the 1850s, when photographs were still a novelty and foreigners roamed the countryside in search of exotic sujects for European consumption, and ends as Australians celebrate their bicentenary. In subjects that range from domestic simplicity to political posturings and regal splendour it surveys the experience of Australians and the changing fortunes of their nation. It is at once a celebration of achievements and an arresting visual record of times both good and bad." --the publisher.